Funky style of this wall clock decal will take off the edge of perhaps too serious and blunt modern interior giving it a certain playability factor. The numbers are almost moving with time, it seems as if it is a matter of minutes before they start forming other shapes on the wall. 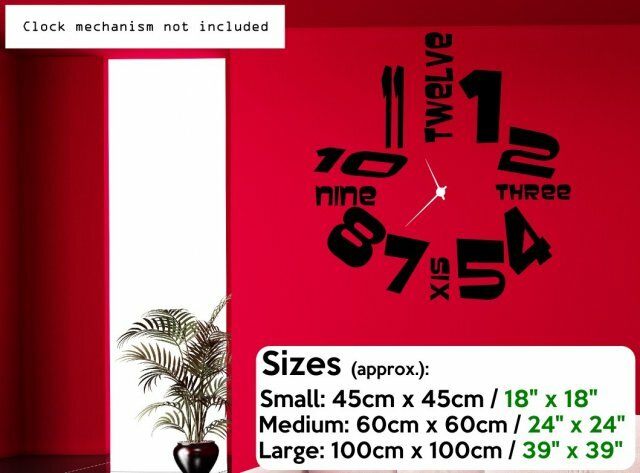 This wall clock sticker will definitely be the highlight of any room. Will present itself beautifully as a feature wall above your fireplace or bed but will equally impress in your office or corridor. Try it in your favourite colour, choose the right size and enjoy the makeover it brings. 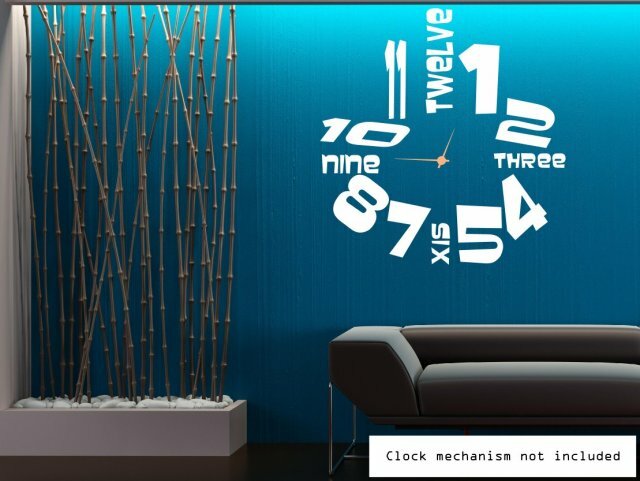 Please note, the clock mechanism is not included with the decal. The clock movement and hands are NOT included.